Oriental hellebore, Christmas rose, winter rose, Lenten hellebore, Lenten rose and oracle flower. Flowers in winter or early spring. 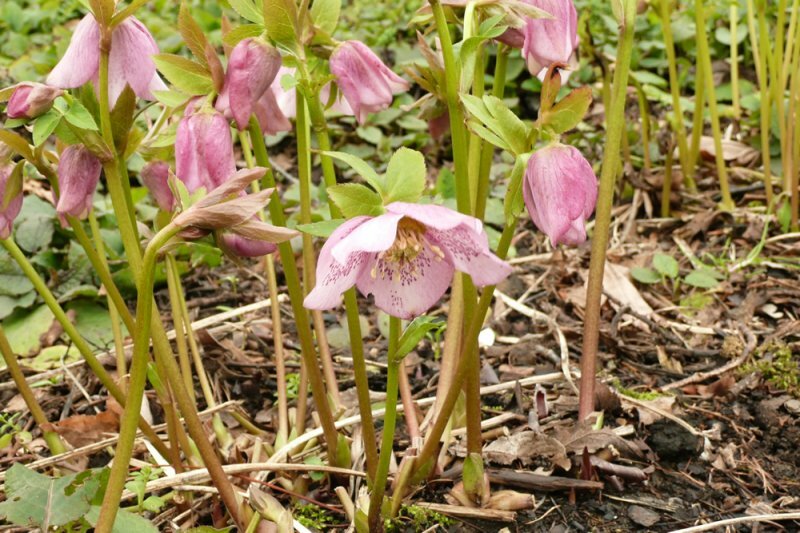 Helleborus orientalis has pretty, nodding, cup-shaped flowers which appear in white, light pink or purple, sometimes with darker spots towards the centre of the flower. The dense, palmately divided, dark green foliage is evergreen. Flowers and leaves can become infested by aphids. Leaves can suffer from downy mildew and Helleborus leaf spot. May be affected by the (probably) viral hellebore black death disease. Legend has it that a visitor to the birth of Jesus in Bethlehem wept because they did not have a gift for the child and the hellebore sprung up where their tears fell, hence the common name ‘Christmas rose’. 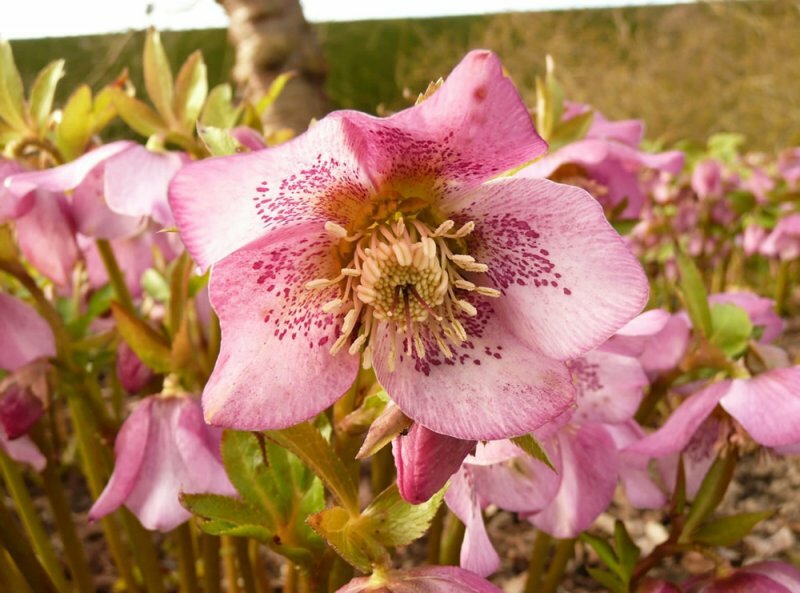 Hellebores are also known as oracle flowers because of a tradition of picking 12 hellebore flowers on Christmas eve, each representing one month of the following year. If the flower opened then good weather was predicted for that month, poor weather if it did not open. 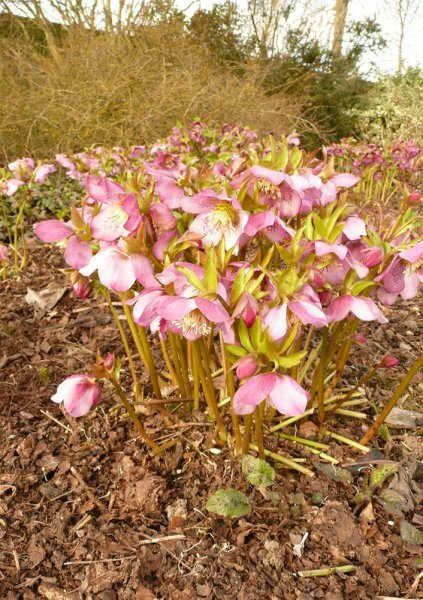 Many hybrids of Helleborus orientalis are popular garden plants. These are generally known as Helleborus x hybridus cultivars.